Like many off-road enthusiasts, our staff looks forward to each year of progress from Polaris. The company has an off-road line so extensive that it could probably do just fine without changing a thing, but Polaris isn’t where they are in the market because it is asleep. You’ll see from the new models and technology introduced for 2018 why Polaris is considered the worldwide leader in off-road vehicles. 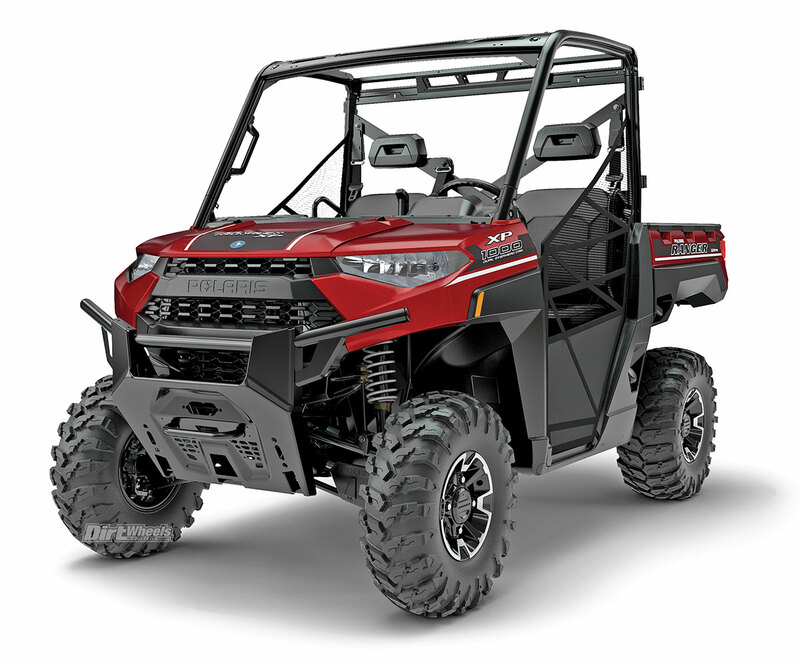 Much of the excitement about Polaris models starts with the RZR line of sport recreational UTVs, a category commonly credited to Polaris and the first RZR 800. RZR models all deliver a great combination of power, suspension and agility. 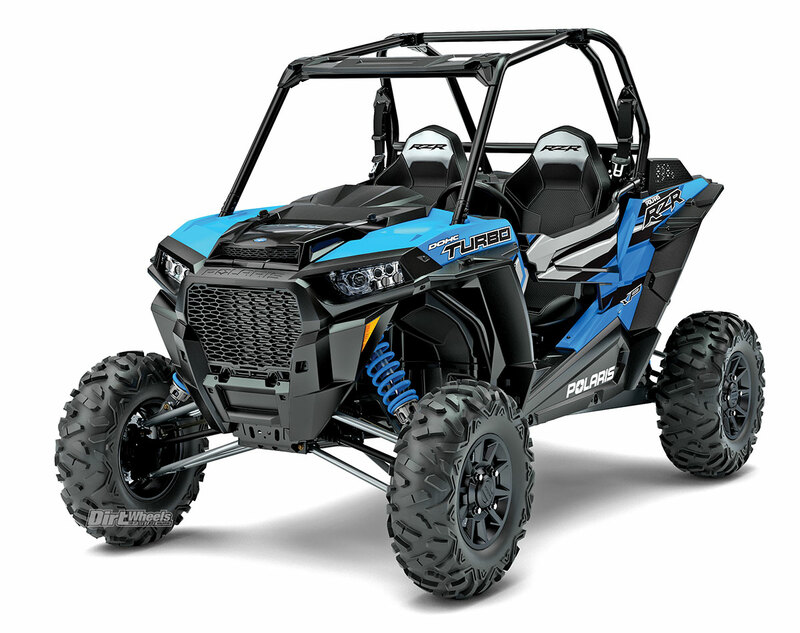 For 2018 Polaris takes the RZR Xtreme Performance family, consisting of the XP 1000 and XP Turbo models, to the next level, with prices ranging from $17,999 for the RZR XP 1000 EPS with Walker Evans needle shocks to $25,999 for the new flagship RZR XP Turbo EPS Dynamix. With the RZR Dynamix, Polaris introduces an industry-first innovation—active suspension. Available only on the RZR XP Turbo Dynamix edition, Dynamix is an intelligent off-road suspension system that continuously tunes on the fly. Seamlessly integrated into the Ride Command system, Dynamix comes standard with a rear camera and simple-touch controls. To learn more, see the full test on page 26. This readable and informative digital display was new in 2017 on some of the larger-model quads, but for 2018, the mid-size units get it. It is a welcome change. In addition to the RZR XP Turbo EPS with Walker Evans shocks for $19,999, Polaris will offer the RZR XP Turbo EPS with Fox Internal Bypass shocks for $2000 less than the 2017 price at $22,499. 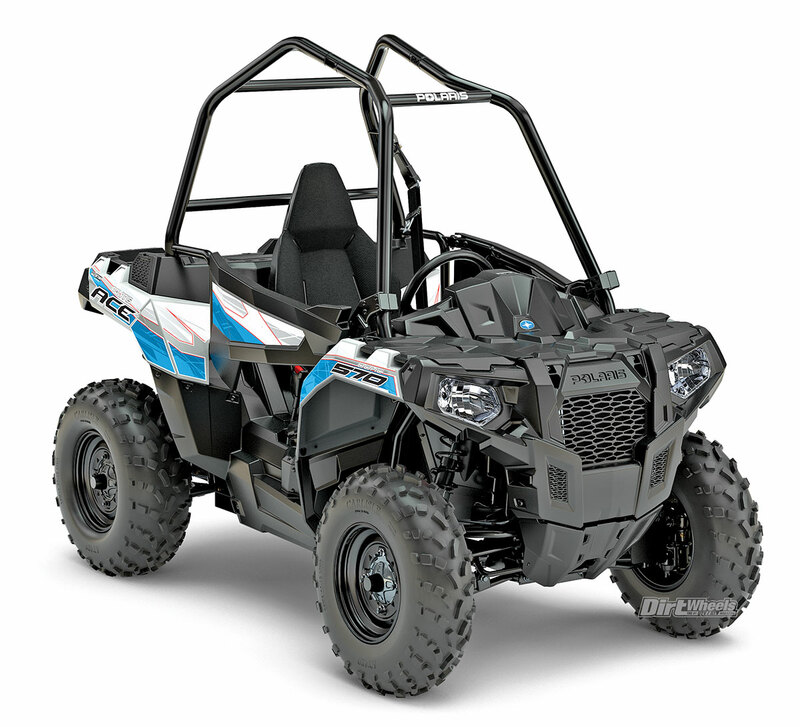 Rounding out the Xtreme Performance line is the best-selling RZR XP 1000 EPS with an all-new price of $17,999. These new product and pricing changes apply to the multi-passenger lineup, with a new 168-horsepower RZR XP 4 Turbo EPS with Walker Evans shocks starting at $22,499, the newly priced RZR XP 4 Turbo EPS with Fox Internal Bypass shocks at $25,499, and the RZR XP 4 1000 EPS priced at $20,499. Special editions include the $22,499 RZR XP 1000 EPS Trails & Rocks Edition, the $17,999 RZR XP 1000 EPS, $20,499 XP 4 EPS 1000 Ride Command, and $21,199 RZR XP 1000 EPS and $23,899 XP 4 High Lifter Editions. 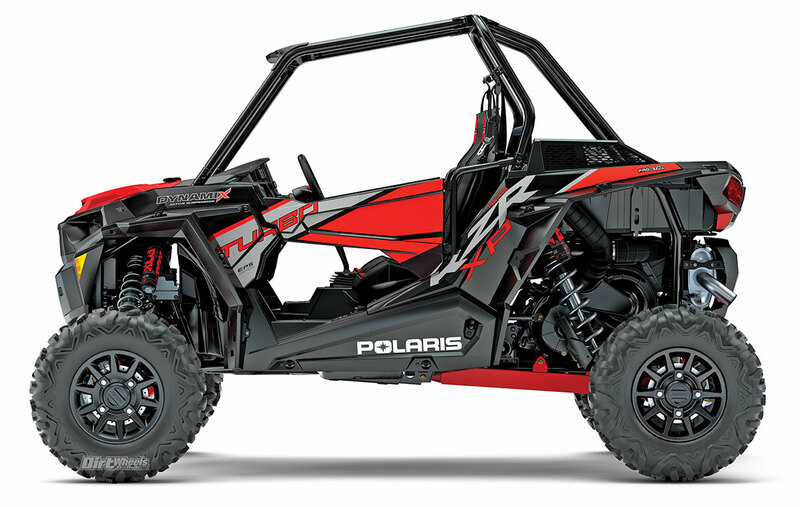 Polaris continues to offer the RZR 4 900 EPS and $18,499 RZR S4 900 as part of its four-seat lineup, as well as EPS and non-EPS models of the RZR 570 ($10,299 to $12,299), RZR 900 ($12,999 to $14,799) , RZR S 900 ($14,699 to $16,499) and $17,999 RZR S 1000 for its Trail & Sport line. The General with Ride Command was a late release for 2017, and it returns for 2018. 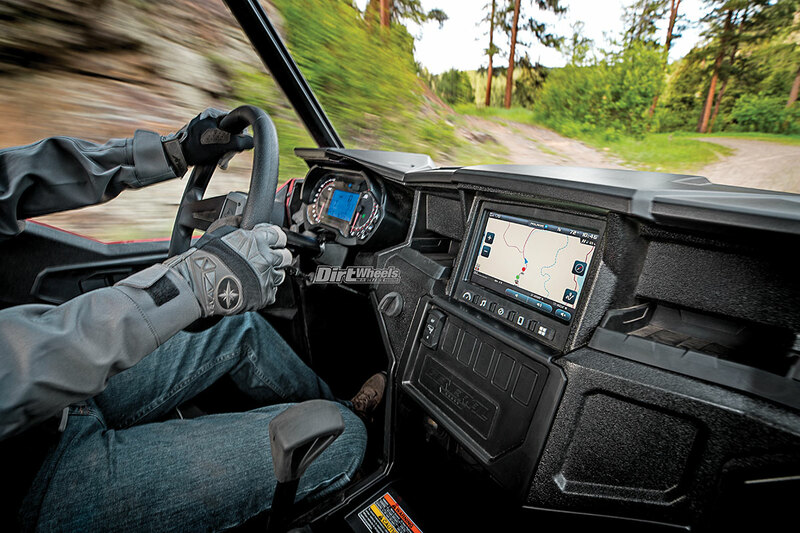 Having the built-in GPS capabilities makes a lot of sense for a machine like the General. After just 18 months on the market, Polaris’ General is the best-selling crossover UTV on the market. For 2018, Polaris has given the General more durability, more performance and more models to choose from, including a military-inspired limited-edition vehicle, and new adjustable Fox Podium X 2.0 QS3 shocks on the $21,299 Polaris General 4 1000 EPS. All General models boast a 100-horsepower ProStar 1000 engine, 1100-pound payload, 12.25 inches of suspension travel, 12 inches of ground clearance and 600 pounds of capacity for the dump box. Standard features include VersaTrac Turf mode, electronic power steering, solid half doors and an engine braking system (EBS). It is hard to wrap our heads around a 4×4 quad this heavy and massive being a sport model, but the Polaris Scramblers (850 or 1000) truly are monster mashers but also sport quads by any definition! The General 1000 EPS starts at $16,299 in Indy Red. The $17,799 General 1000 EPS Premium includes Radar Blue automotive-style metallic paint, sport bumper with Polaris HD 4500-pound winch and 14-inch cast-aluminum wheels paired with 27-inch Maxxis Coronado tires. The $20,299 Gloss Titanium Metallic General 1000 EPS Deluxe has all the features of the premium model, plus Fox 2.0 Podium X QS3 shocks, sport roof, rear-view mirror, MTX premium sound bar with eight speakers delivering 100 watts of audio and Bluetooth connectivity. Several of the mid-size Sportsman models like this 570 have a new slimmer riding position, better drivetrain reliability and a new digital instrument display. The $21,499 Matte Sunset Red General 1000 EPS Ride Command has all the features of the Deluxe, but also has the Ride Command 7-inch glove-touch display, on-board front and rear cameras, and GPS. Ride Command enables riders to record and save their own route, create a group and see the location of riders in it, and control their GoPro. New for 2018, group riding has been enhanced with follow-the-leader functionality, now allowing riders to view the location, distance and routes of others in the group in real time. Polaris Touring models like this powerful 1000 offer the nimble handling of a quad with a calm, extended wheelbase and deluxe accommodations for two. Polaris has two special-edition Generals: The 1000 EPS Hunter Edition in Polaris Pursuit Camo returns with a 4500-pound Polaris winch, sport front bumper and dual-gun-scabbard mount with two Polaris gun boots by Kolpin for $18,999. And, the 1000 EPS Limited Edition featuring custom military-themed graphics on Matte Sagebrush Green automotive-style paint, cut-and-sew leather-like custom seats and a Lock & Ride tip-down headache rack for $18,999. Polaris Ace continues to appeal to riders who care more about fun than they do about passengers. The lineup includes the $6999 Ace 500, $8999 Ace 570 EPS and $12,999 Ace 900 XC. Polaris considers the Ace 570 EPS a new model. In 2017 there was an Ace 570 EPS with MacPherson strut front suspension and the Ace 570 SP, which had dual-A-arm front suspension. 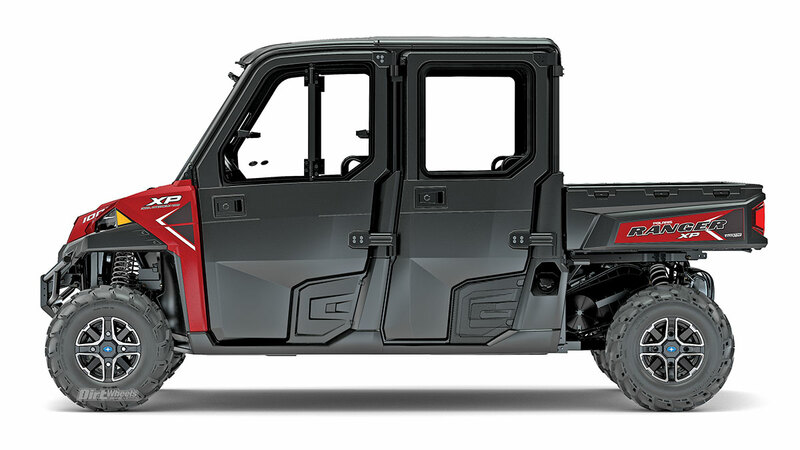 For 2018 the SP is no longer in the lineup, and the Ace 570 got the dual-A-arm suspension, quarter doors, integrated storage, front and rear mud guards, and a stainless steel silencer/muffler. The 500 gets the new muffler and mud guards. All Ace models get a seat slider, and all have four-point seatbelt mounts. 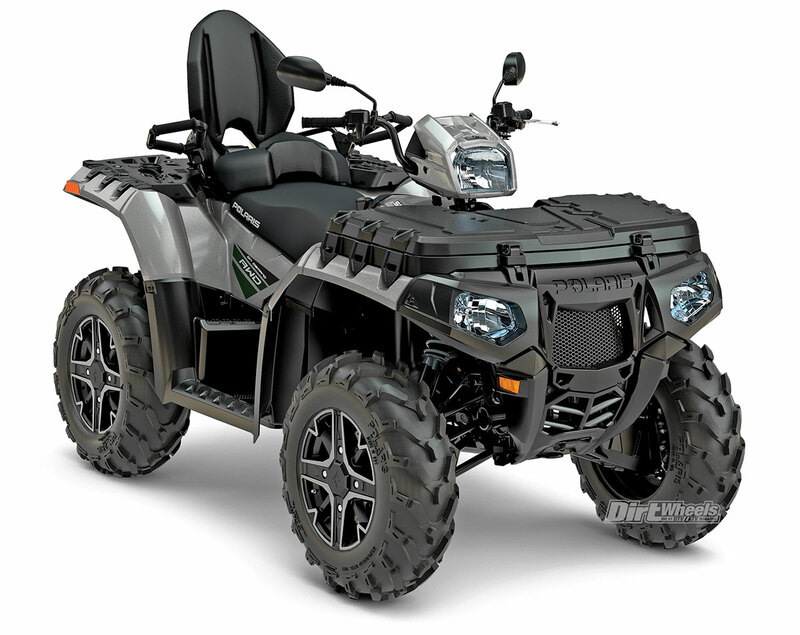 Polaris has defined the sport/utility UTV segment with the popular General line-up. These machines can work or play equally hard. Also included in the 2018 Ace lineup is the industry’s first single-seat youth model, the Ace 150 EFI. 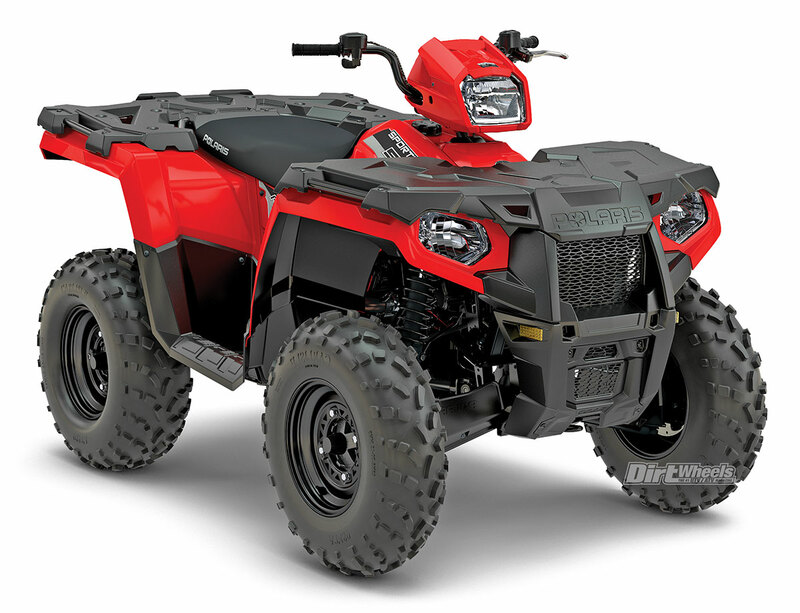 The Ace 150 EFI is available for riders 10 years of age and older with adult supervision and is the only single-seat youth ORV with a full-cab frame. Performance is adjustable to suit skill levels, and it comes with a helmet! Polaris is being even-handed with power fanatics. They can choose the RZR XP Turbo EPS for a value price (left), step up to the Fox Edition with more adjustable suspension or go full high-tech with the Dynamix (right). 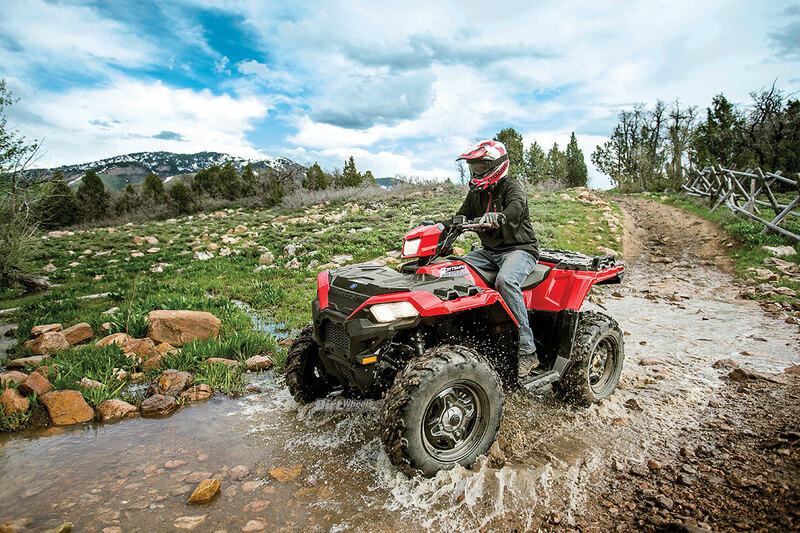 Polaris Sportsman, the best-selling brand of automatic 4×4 ATVs, delivers several improvements across its rec/utility line, so owners get the performance they expect and the dependability they count on. New for 2018 are the $5999 Sportsman 450 H.O., $6699 570 and $8699 570 SP models (and the variations of those models), including an improved driveline system with 50-percent-stronger half shafts and new joints providing increased durability at full turn, new side panels and an even more comfortable ride. For driving on gravel or in water, improved rear-wheel bearing seals provide more durability and longer life. Polaris also enhanced the clutching and belt alignment for easier shifting and softened the EBS engagement for smoother descents. 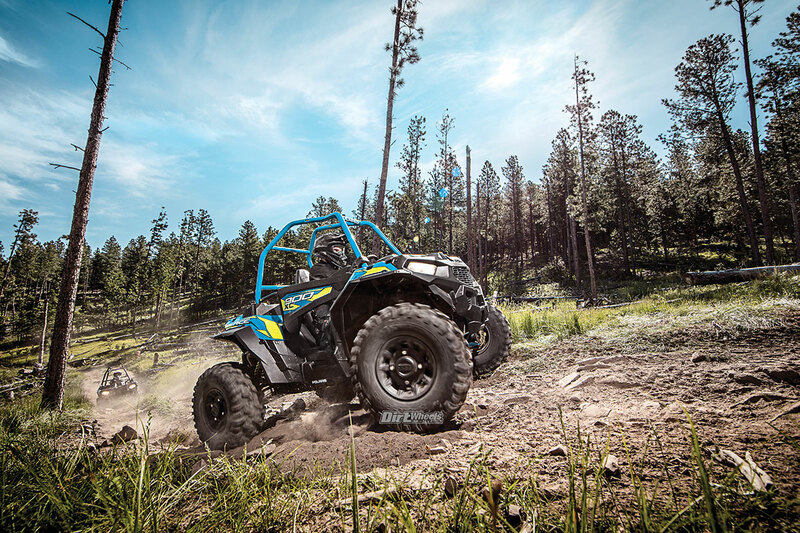 The Ace 900 XC is about the most fun with a roll cage that will still fit in a full-size truck bed. It is fast, nimble and fun. We love it. 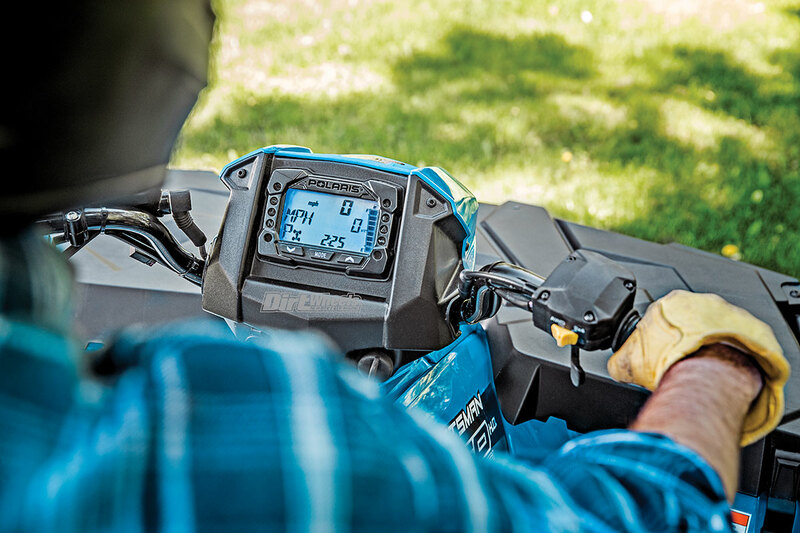 With the popularity of the digital gauges introduced on the 2017 Sportsman sport/utility line, Polaris is adding them to the rec/utility models. The digital gauge is easier to read, both during the day and at night, by providing brighter and larger numbers and two illumination color options (blue and red). Polaris’ super-successful Ranger XP 1000 gets a redo for 2018. Aside from the bold new look that reminds us a little of the new Toyota Tundra front end, the Ranger gets a new one-piece frame and other upgrades. These changes are just for the Ranger XP 1000 two-seater this year. Expect these changes to extend into the range next year. The rec/utility line for 2018 includes the Sportsman 450 H.O., $5999 Sportsman 450 H.O. EPS, $6899 Sportsman 450 H.O. Utility Edition, Sportsman 570, $7599 Sportsman 570 EPS, $7999 Sportsman 570 EPS Utility Edition, and Sportsman 570 SP and $9799 570 SP Hunter Edition. 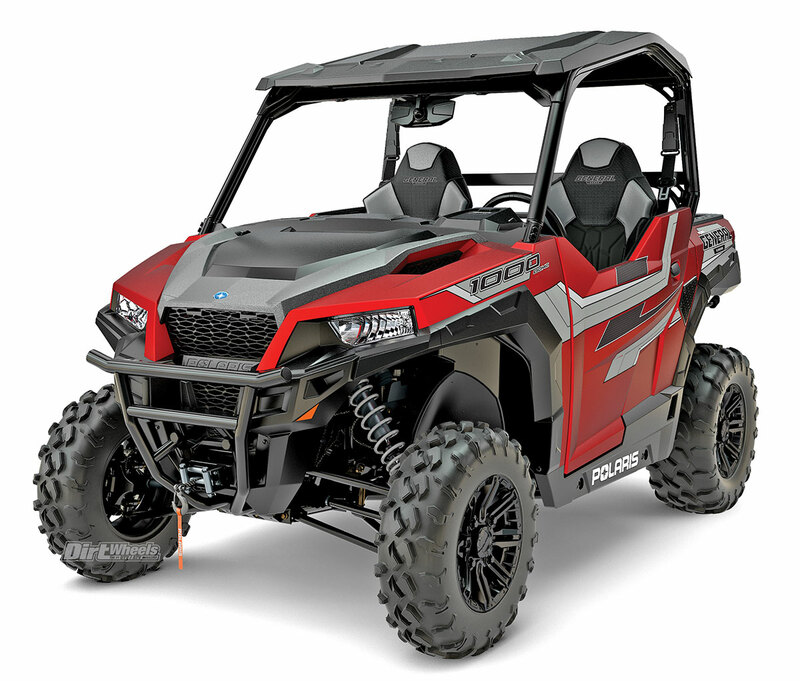 The $8899 Sportsman 850, $10,399 Sportsman 850 SP, and $11,999 Sportsman XP 1000 and $12,999 XP 1000 Hunter Edition continue to be offered as part of the sport/utility line. The 2018 two-up and utility lines include the $7699 Sportsman Touring 570, $8699 Sportsman Touring 570 EPS, $9499 Sportsman Touring 570 SP, $9799 Sportsman X2 570, $11,199 Sportsman Touring 850 SP, $12,999 Sportsman Touring XP 1000 and $10,999 Sportsman 6×6 Big Boss 570 EPS. The Mud & Sport lineup continues to offer the $9799 Scrambler 850, $13,299 Scrambler XP 1000, $9999 Sportsman 850 High Lifter Edition and $13,999 Sportsman XP 1000 High Lifter Edition. 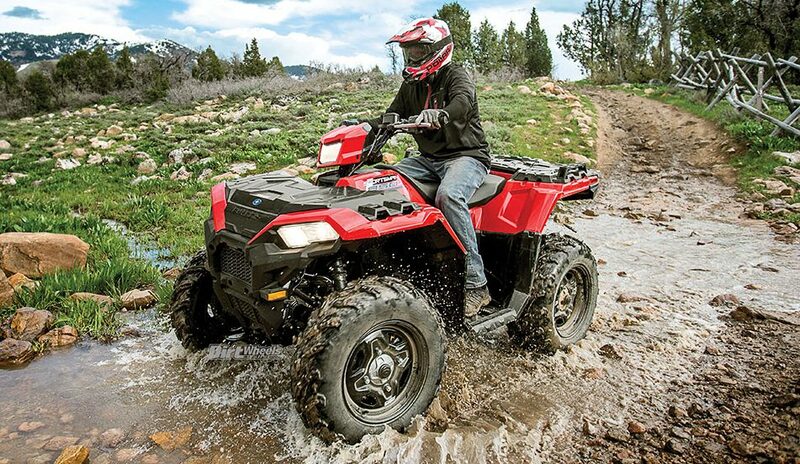 In addition to doors and A-arm front suspension, the Ace 570 gets added storage and better mud protection. The A-arm front suspension makes a huge difference in performance. For 2018 the Polaris youth lineup is comprised of four models: the $3799 Phoenix 200, $3099 Outlaw, $3099 Sportsman 110 EFI and $2099 Outlaw 50. 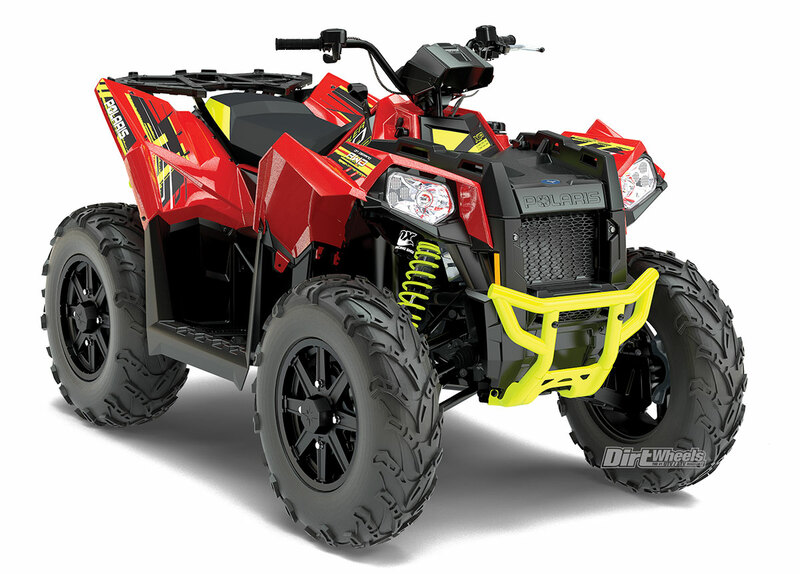 Polaris also offers the $4799 RZR 170 EFI and $3799 Ace 150 EFI as youth sit-in models. The new Polaris RZR XP Turbo Dynamix is stealing all the headlines, but this RZR XP Turbo EPS model with Walker Evans shocks is a deal at $19,999. Polaris Ranger, the industry’s number-one-selling UTV line, returns with the flagship Ranger XP 1000. The newest Ranger has more than 100 owner-inspired innovations. Features include an industry-leading 82-horsepower ProStar 1000 engine, one-piece chassis, an even smoother ride, top-notch fit and finish, and a completely redesigned interior and exterior. The new chassis increases stiffness and reduces flex for a stronger, more durable machine and improved ride. The industry-leading 11 inches (27.9cm) of suspension travel represents a 10-percent increase, further enhancing the smooth ride that Ranger is known for. New 27-inch tires with cast-aluminum rims provide a taller stance and 13 inches of ground clearance. With 8.3 percent more ground clearance, the Ranger XP 1000 can conquer the toughest terrain—from the job site to the trail. The price range for the Ranger XP 1000 starts at $15,299 and goes up to $16,499 for the camo model. Along with the XP 1000, the entire Ranger lineup of utility side-by-sides comes standard with a one-year factory warranty. At the performance pinnacle for Polaris, you’ll find the RZR XP Turbo Dynamix. The combination of Ride Command features mixed with electronically adjustable suspension makes it a weapon! The Ranger XP 1000 is available in Sage Green, Sunset Red, Suede Metallic, Matte Titanium Metallic and Polaris Pursuit Camo. Special-edition models include the $23,999 Northstar HVAC Edition in Sunset Red with cab heating and air conditioning. The vehicle is part of the 2018 Ranger full-size lineup that includes the $18,999 Ranger XP 1000 High Lifter Edition (2017 design), $13,299 Ranger XP 900 EPS, $12,299 Ranger XP 900, $10,299 Ranger 570 full-size and $13,799 Ranger Diesel. This Ranger XP 1000 Crew is carried over from 2017, but it is still an amazing machine. The top-of-the-line Northstar model has a sealed cab with heat and air conditioning! The Ranger crew lineup includes the $16,999 Ranger Crew XP 1000 EPS (2017 design), $13,699 Ranger Crew XP 900, $14,999 Ranger Diesel, $11,799 Ranger Crew 570-6 and $10,799 Ranger Crew 570-4. The mid-size lineup features the $9999 Ranger 570, $8999 Ranger 500, $22,999 Ranger EV Li-Ion and $11,299 Ranger EV.